Clear labels virtually disappear on white tab so only printing gets noticed. Print labels using a laser or inkjet printer for a professional-looking index. Clear labels virtually disappear on white tab so only printing gets noticed. Three-hole punched for use in standard ring binders. 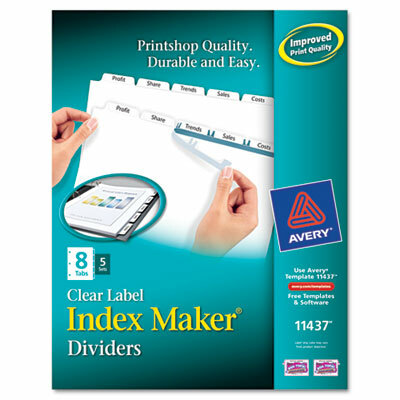 Print labels using a laser or inkjet printer for a professional-looking index.